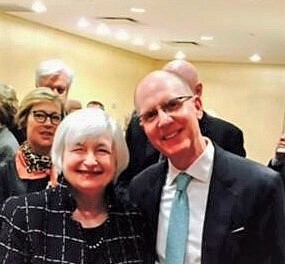 At the end of this post, we will explain the picture above and the advice Janet Yellen gave to our Chief Investment Officer, Preston McSwain. To start, though, we constantly get asked what we think is going to happen to the market going forward or for our picks of stocks, sectors or asset classes that we think are going to perform the best. We know that people like to hear a hot tip, and earlier in our careers, when big Wall Street firms paid us to do this, we often tried to provide them. Now, we are older and don’t care as much about impressing people. In addition, we hope that our clients pay us to shoot straight, tell them what we really think, and stay focused on the consistent findings of independent peer reviewed research versus selling forecasts. What do we say now based on our experience and the evidence about what’s most likely to come to pass? We’re sure a few people think that when we do this we are taking the easy way out or being passive in our approach to investing. Until very recently, and only due to more and more candid comments from people like Warren Buffett, the investment industry socialized both investors and industry professionals to believe that significant weight and value should be placed on estimates and actionable forecasts. Believe us when we say that the industry spends a lot of time and money training people about how to sell emotional presentations to different audiences. They know well that it’s much easier to acquiesce to the excitement of a new product presentation pitched by a haloed professional than to stay anchored on the evidence. What does the evidence consistently show, however, about the accuracy of forecasts and analysts’ recommendations? 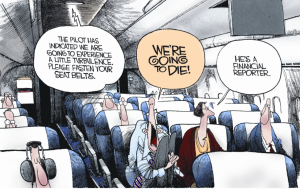 Like the old saying that is echoed frequently inside Wall Street, the presenters are never in doubt, but most often they are wrong. We have written about this topic frequently for Trusts & Estates magazine and the CFA Institute, and even shared over-cocktails quotes from what we called the Honest Global Chief Investment Officer in our blog piece, Talking Heads. We know we are fighting a constant battle against the financial public relations machine, though, so below are a few more pieces of evidence supporting our contrary-to-the-herd point of view. As he discusses, most people don’t care much about predictions in an up-market. Even though bull market prognostications have been shown to be less accurate than a coin toss, if the market is up, investors tend to be quite forgiving. Last year was a good example. 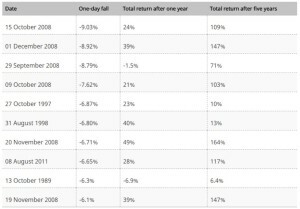 The U.S. equity market was up over 20% in 2017, but many on Wall Street predicted only single digit returns. 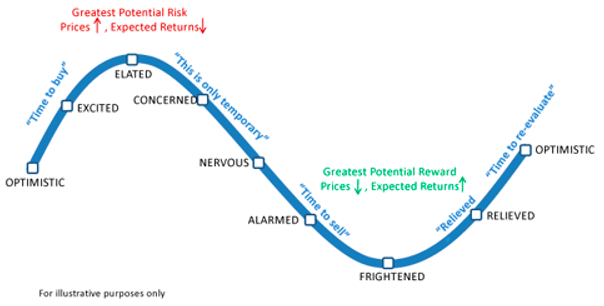 People focus more on pain avoidance, meaning that what investors really care about is downside protection – advice about when to sell before a bear market. 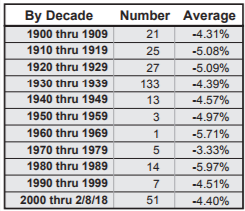 What does Mehta’s research show about how many times Wall Street consensus predicted a market drop? Unfortunately, this has been well known but generally ignored for quite some time. As an example, CXO Advisory collected data from over 6,500 predictions made by 68 investment gurus covering the time period 1998 – 2012. The accuracy of well-known investment strategy professionals, including industry luminaries Jeremy Grantham and Abby Joseph Cohen, was only 47%, or as Mehta found, also worse than a coin toss (see the following for the complete study – Guru Grades). Finally, how about Federal Reserve leaders? Take a look at the chart below. 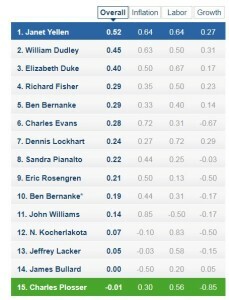 It is from a Wall Street Journal analysis of over 700 Fed policymaker predictions between 2009 and 2012. As you might expect, 1.00 is perfect, so it acts as a percentage accuracy score. 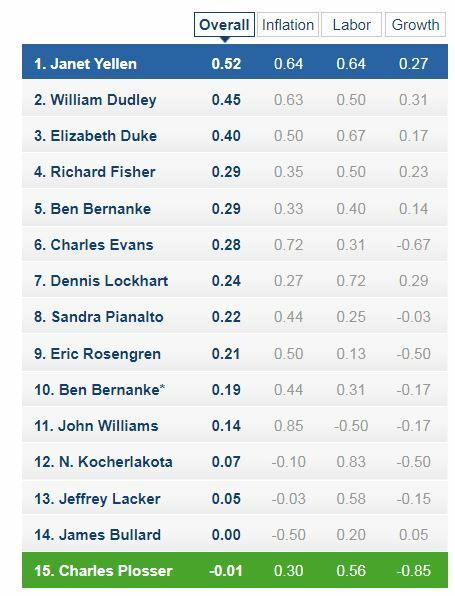 These data suggest that Preston’s picture mate, Yellen, is indeed impressive relative to her peers, but the last we checked, an accuracy rating of 52% is still about the same as a coin toss. And, before you think that we’re being too hard on them, keep in mind that the Fed acknowledges in its own research that its forecasting leaves much to be desired. The evidence suggests that market forecasts aren’t worth much, but this doesn’t mean you shouldn’t look at data. Data can absolutely help you develop a long-term plan you feel comfortable enough to stick with and not change based on short-term predictions. Like the enduring design approach of Steve Jobs, the best financial strategies evaluate all kinds of data then strip away everything that isn’t in simple service of the underlying goal. 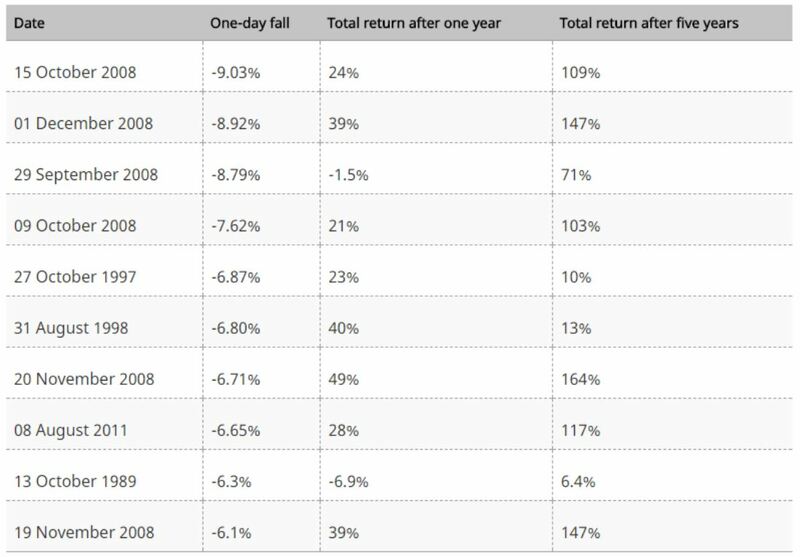 It might sound overly simplistic or passive, but as we detailed again this year in a piece for Trusts & Estates magazine titled, An Important Lesson, keeping it simple has consistently outperformed top university endowments over multiple long-term time periods. The next time you hear an emotional investment forecast, stay anchored on what Janet Yellen privately cautioned Preston with a smile, after she shared with him her market view.